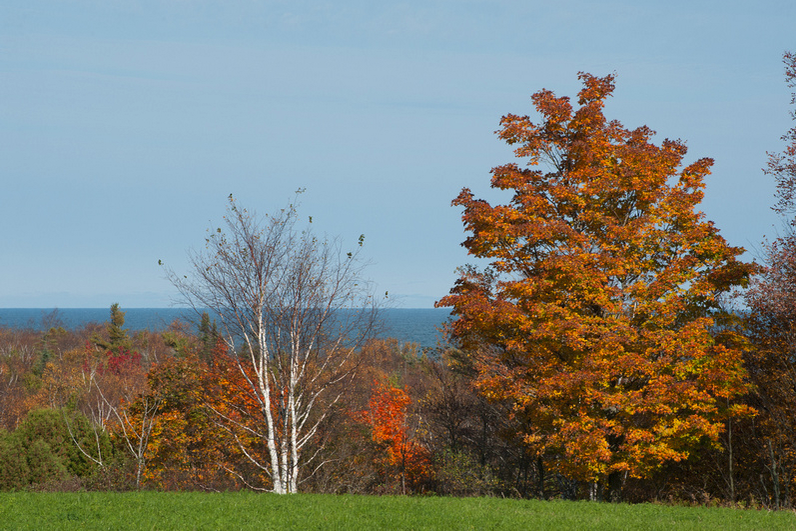 The Legacy Preserve at Clay Banks offers one of the most breathtaking views in all of Door County. 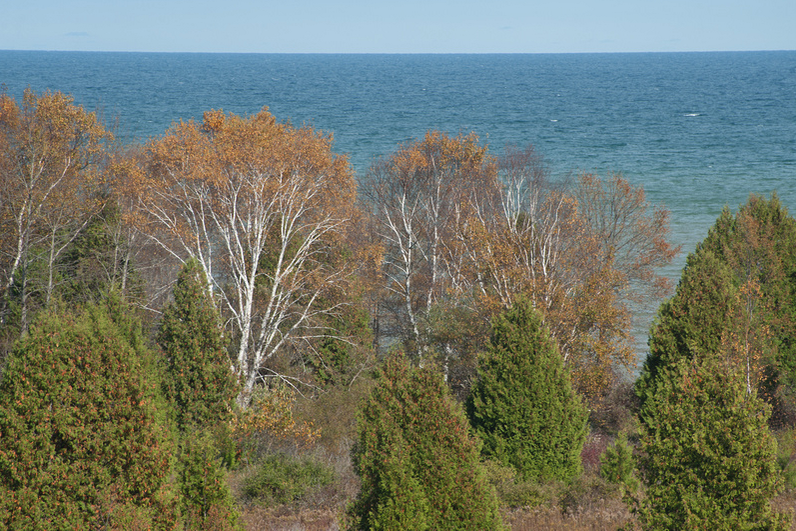 From the top of a windswept bluff, an open field stretches to the edge of a high clay bank and cascades down to meet the sparkling waters of Lake Michigan. The Door County peninsula can be seen stretching northeastward out into the open lake. 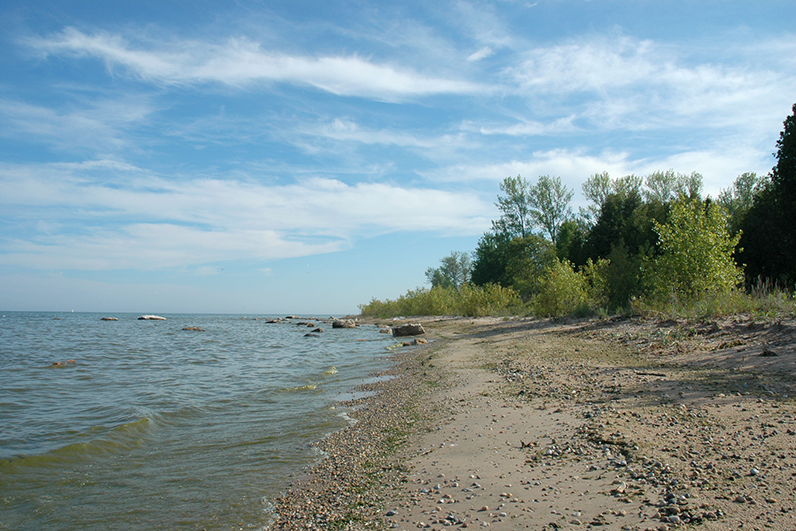 The preserve features over one-half mile of undeveloped shoreline, a cedar-filled wetland, open fields, and a meandering stream, as well as the steep bluff that bisects the preserve. This mix of habitats provides an ideal home for plants and animals including grassland birds, shorebirds, bald eagles and a number of rarely encountered wildflowers. The red banks that line the shore in this part of Door County give Clay Banks Township its name. These clay banks are uplifted beach remnants of the last Ice Age. In more recent times, they’ve served as conspicuous navigational landmarks. In the mid-to-late 1800s, the nearby village of Clay Banks housed a sawmill, numerous businesses, schools and a post office and boasted the longest piers on the peninsula. These long piers were necessary due to shallow reefs, rock ledges and submerged boulders. 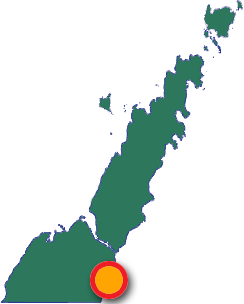 The treacherous marine topography here was responsible for many documented shipwrecks, including a few directly offshore of the Legacy Preserve. From Highway 42/57 in Sturgeon Bay about 0.4 miles south of the Highway 42/57 (Bay View) Bridge, turn south onto County U (Clay Banks Road). Travel 5 miles and turn left onto Salona Road. Travel 0.5 miles to South Lake Michigan Drive. 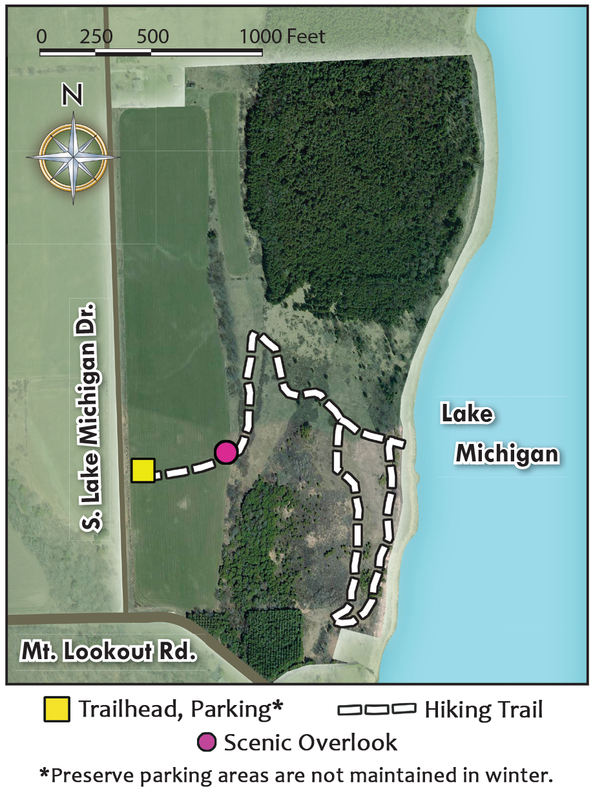 Turn right and continue 1.4 miles to the preserve parking area and trailhead located on the left-hand side of the road at 1188 South Lake Michigan Drive.